That skeptic lives inside my head, but I'm going to ignore her. Will writing a poem a day that either uses an emotion word or evokes that emotion be any harder than writing a poem a day about obscure wonders of the world? Sorry, skeptic. We're doing this. And any of YOU who want to come along for the ride are invited to join us for an April that will LITERALLY be an emotional roller coaster! I've created a list of 30 emotions that various researchers have identified, using this resource. I'll publish the list next week. I made my graphic for this year using a public domain, no-attribution-necessary image and the graphic design site Canva. My poem today is for Heidi's MarCH CHallenge. 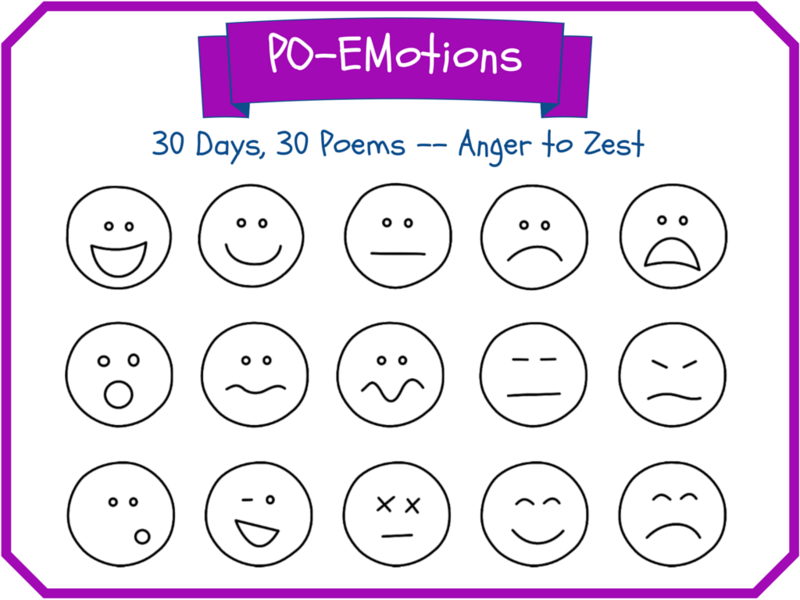 Last, but not least, Laura (who coincidentally shares a perfect PO-EMotion for today) has the Poetry Friday roundup at Author Amok. Best of luck this this project, Mary Lee! I look forward to reading your PO-EMotions. Quite a challenge--but you can do it! An interesting challenge coming up, Mary Lee. I would like to give it a try. Clever title: Po-emotions! Your skeptic inside your head is peeking out of your poem!